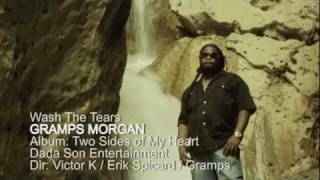 Roy Morgan, a member of the internationally renowned reggae group, Morgan Heritage, was born in Brooklyn, New York and raised in Springfield, Massachusetts with his parents and 29 other siblings. Gramps is one of the legendary Denroy Morgan’s seventeen sons and was affectionately given the name “Grampa” on the day of his birth by an aunt who noticed his uncanny resemblance to his grandfather. The name, “Gramps”, would follow him throughout childhood into adulthood and is also used as his stage name. He became a member of the family band Morgan Heritage, at the tender age of nine. Morgan Heritage has recorded over ten albums spanning many hits including the all time favorites “Down By The River”, “Don’t Haffi Dread” and “I’m Coming Home”, to mention but a few. They have sold millions of records and continue to gain fans all over the world. Denroy Morgan had prophesied that one day, each of the group members would trod on their own journey to achieve solo stardom. After more than a decade of touring and performing with Morgan Heritage, Gramps is now reveling in the success of his long foreseen solo career. An experienced vocalist, keyboard player and performer, Gramps released his first official single as a solo artist, “Wash The Tears”, under his own Dada Son Entertainment label. Following the success of “Wash the Tears”, Gramps debuted his first solo album, Two Sides of My Heart – Vol. 1 in 2009. Gramps set out on tour with several major musical artists to introduce himself as a solo artist and meet his fans. He performed on the highly successful “Evolver” tour with John Legend and India Arie and also performed during India Arie’s “Soulbird” tour. He continued to tour with Tarrus Riley, his brother Peetah Morgan and was the opening act for his longtime friend, Buju Banton on the “Rasta Got Sou”l tour. Written, composed and produced by Gramps, “Wash The Tears” entered Italy’s Top 20 Singles Chart at number eight. The album spawned multiple hit singles, which earned Gramps three awards for Best New Entertainer, Best Song (“Wash The Tears”) and Best Crossover Song (“Therapy” featuring India Arie) at the 2010 International Reggae and World Music Awards. He also earned a nomination for Reggae Artist of the Year at the 2010 Soul Train Music Awards and went on to win Album of the Year at the 6th Annual Excellence in Music and Entertainment Awards. 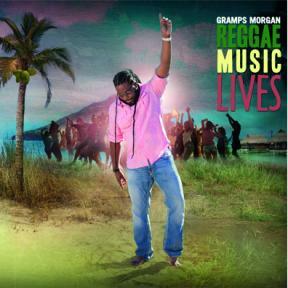 Gramps’ work and collaboration with reggae superstar Buju Banton on his album “Before the Dawn” would set the wheels in motion for his greatest accomplishment to date; At the 53rd Annual Grammy Awards in 2011, “Before the Dawn” won the award for Best Reggae Album, which lists Gramps as co-producer, lead vocalist and writer for the track “Try Life”. Passionate about helping others in need, Gramps established the charity Music Orchestrating Miracles (MOM), to help bring relief to the needy in various parts of the world. In Africa, MOM works in conjunction with various medical organizations to provide mosquito nets, Malaria medication, HIV test kits and water purification tablets amongst other resources in remote areas. 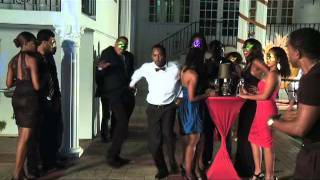 The organization was also part of various benefit concerts aimed at collecting funds and resources for the people of Haiti and most recently Japan. MOM has been operating since early 2010 and continues to make strides in helping to alienate human suffering due to poverty, diseases and natural catastrophes. Now that he is settling into the success and solo stardom of which his father dreamed, Gramps says, “I just want to give people new music and let people know that everything is going to be alright. I want to reason with my fans and get personal with them because everyone has problems. My music is about healing, heart to heart. This has always been my father’s plan; we are all on an individual journey to express ourselves musically”.